Like twisty plots & tea? 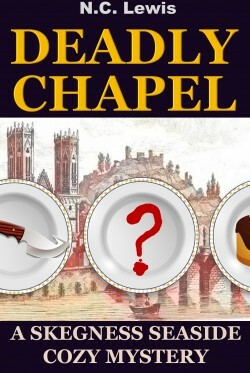 You’ll love Deadly Chapel. Meet Doris Cudlow, underemployed journalist and recent divorcee from London. She’s got a lot on her plate, trying to make a new life in the English seaside town of Skegness. Throw in a nosy landlady, an invitation to her ex-husband’s wedding and murder, and she’s knee deep in a baffling mystery.